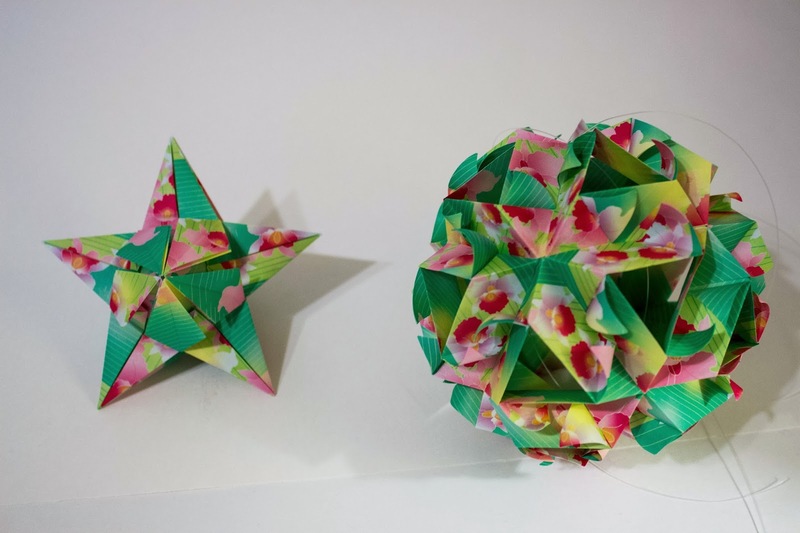 These models were both from Ekaterina's new book Kusudama Origami. The one on the left is a Bitterroot Star. It is made with 5 units of 1:2 proportions. Each unit was 3 x 6 inches. The finished size was about 4 1/2 inches tall. The one on the right is Hypnose. It is made with 30 square units. I added some clear fishing line so that it could be hung. I used a patterned origami paper I picked up in a bulk pack at Micheal's in Frandor. Both were gifts for co-workers. Please see my last post for link to Ekaterina's website and more information on her book.